Take a look at some our work across the world this past month. This month, we turn our attention to what is happening in Libya. European countries, including the UK, have allocated more than €200 million of resources to Libya in order to try and “stem the flow” of migration. This month, we also look at the situation in northeast Nigeria, and how our teams are innovating to provide a better standard of care. Dr Joanne Liu, International President of MSF, has just returned from Libya where she visited MSF medical teams working in detention centres. This impassioned account recalls the horrific situation of the migrants and refugees she witnessed. 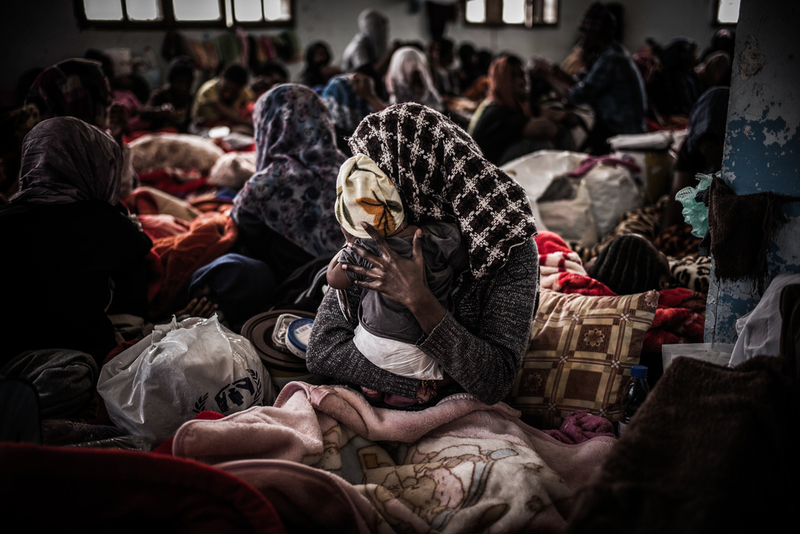 From what we have seen in Libya, and from those we have rescued at sea, there are five main reasons refugees and migrants aren't safe in Libya: arbitrary detention and violence, forced labour, kidnapping and torture, sexual violence, as well as humiliation and starvation. Hear more from those we have helped. What's happening in northeast Nigeria? More than two million people have fled their homes in northeast Nigeria, with little chance of returning home any time soon. Thousands have been killed in the fighting, many more by measles, malnutrition and malaria. An unknown number of people are out of the reach of humanitarian assistance altogether. Despite the huge scale of suffering, this is a conflict many haven't heard about. In this video, Heather Pagano, MSF Humanitarian Advisor, explains the situation. Our team in northeast Nigeria has been using an innovative system to monitor cases of malnutrition. Using a smartphone to collect information, the team go house to house and refer malnourished children to MSF’s nutrition centres for medical care. The survey allows the team access to live data, so we could monitor malnutrition and see how rates were changing in real-time.